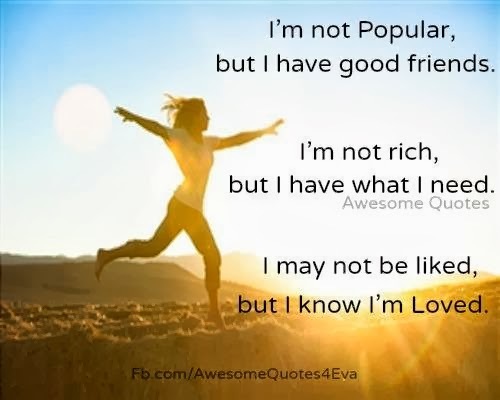 Awesome Quotes: I am not popular, but I have good friends. I am not rich, but I have what I need. I may not be liked but I know I am loved. I am not popular, but I have good friends. I am not rich, but I have what I need. I may not be liked but I know I am loved.